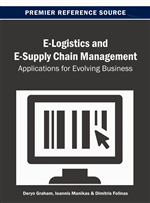 This chapter provides a framework and discusses the integration of Customer Relationship Management (CRM) and Supplier Relationship Management (SRM) systems in e-ERP environments in supply chains. Currently, the economic environment enterprises are operating in is extremely competitive and influenced greatly by Information and Communication Technologies (ICT). ICT can be an enabler of business performance but also an obstacle if these technologies are not managed carefully. Enterprises are implementing integrated CRM and SRM software in order to remain competitive, but high rates of failure indicate that the implementation of these solutions is not straightforward. In this chapter, organizational issues concerning the integration of CRM, SRM, and ERP software in supply chains are discussed. This chapter aims at informing managers, scholars, students, and researchers of the issues involved, and identifying critical factors of success for enterprises adopting and implementing integrated CRM/SRM solutions. Customer Relationship Management is a general industry term for methodologies, software, and Internet capabilities used by enterprises to systematically manage customer relationships. CRM is primarily a business philosophy emphasizing the importance for the adopting organization of customer acquisition, satisfaction and retention to sustain its competitive standing (Stefanou et al, 2003; Sarmaniotis and Stefanou, 2005). Nevertheless, modern CRM systems are based on information and web-technologies and in most cases CRM systems are software off-the-shelf packages developed by vendors such as Siebel (Oracle) and SAP.